It really is no wonder that Sweet Shutters and Shades has become the number one choice in the area for window treatments. With over 20 plus years of professional experience backing up owner Diane Sweet, it is safe to say that she has established herself, and the business, as the go-to team of experts. The bottom line is that we want you to end up with shutters, shades or window blinds that you can live with, and love, for years to come. Selecting the right window dressings is not always easy. While some people seem to know exactly what they want, others need more prodding. The good news is that no matter which type of consumer you are, we can help bring your vision to fruition. 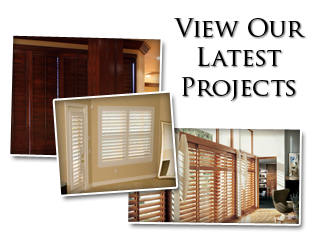 We want to be your go to shutter company for Weddington window treatments. For anyone concerned with having optimal light and privacy control, shutters are the best way to go. No other window covering offers the same level of flexibility, when it comes to both light and privacy. Quality shutters are also idea for adding to the insulation of your home. This helps keep your operational costs lower, while also makes your home more Eco-friendly. This is an ideal choice for anyone dealing with allergies, asthma or other respiratory related health concerns. Dust and other airborne contaminants do not adhere to shutters they way that they can get trapped in fabric-constructed options. Maybe you are leaning more towards window blinds and need some professional input. 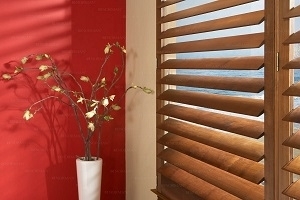 At Sweet Shutters and Shades, we are about more than just selling and installing window blinds. We are about helping our clients understand their options so that they can make a decision they will feel good about, for years to come. 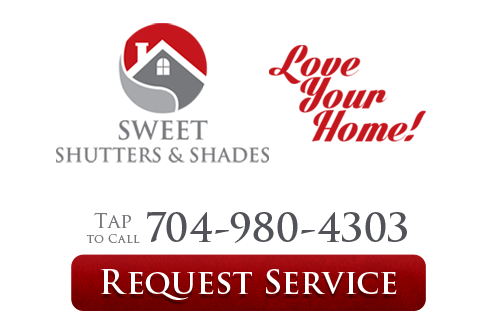 If you are looking for an experienced Weddington shutters or window blinds professional then please call 704-980-4303 or complete our online request form.